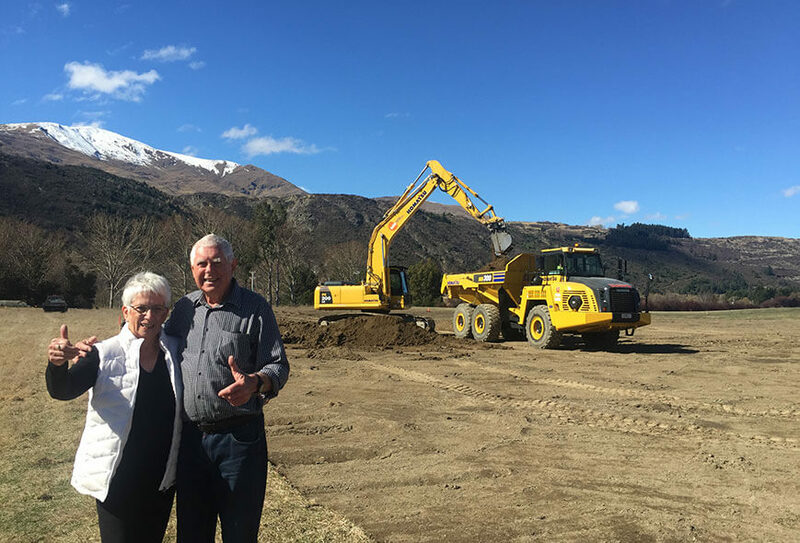 Work has commenced on the site of the future Arrowtown Lifestyle Retirement Village on McDonnell Road near Arrowtown. Benchmark has been awarded the civil works contract for development of the village, with earthworks sub-contracted to Monk Earthworks – owned and operated by Sam Monk – son of village shareholder and local farmer, Roger Monk. A strong focus of the partnership behind the village is to ensure local contractors and consultants are employed where possible. There has been a great deal of interest regarding the work starting on site for Arrowtown Lifestyle Retirement Village. “We have taken some time to listen to our future residents, and to enhance villa designs to ensure we deliver a well-considered village” said managing director, Aaron Armstrong. “We are very pleased with the results and think our residents will enjoy an unparalleled retirement lifestyle in Arrowtown”. Stage One includes 28 villas, including an interim Residents’ Lodge, which will be the social hub of the village until the longer term facilities are built when the village is further down the track. When complete, the village will include 120 villas, 75 apartments and a 100 bed care facility for people requiring long term residential aged care. The first villas are due to be completed mid-2018. Demand for villas at Arrowtown Lifestyle Retirement Village has been strong, with most of Stage One now reserved – predominantly by people from Arrowtown and Queenstown. “It has been great to see the strong interest from local retirees. Our key focus is to ensure the people of the Wakatipu Basin can retire within their existing community” said Armstrong.